Thank you Avi for sending this product along with a few other CarPro goodies for review. Quartz is renowned for offering industry leading protection to hundreds of thousands of vehicles worldwide and we are proud to present their latest offering to you! 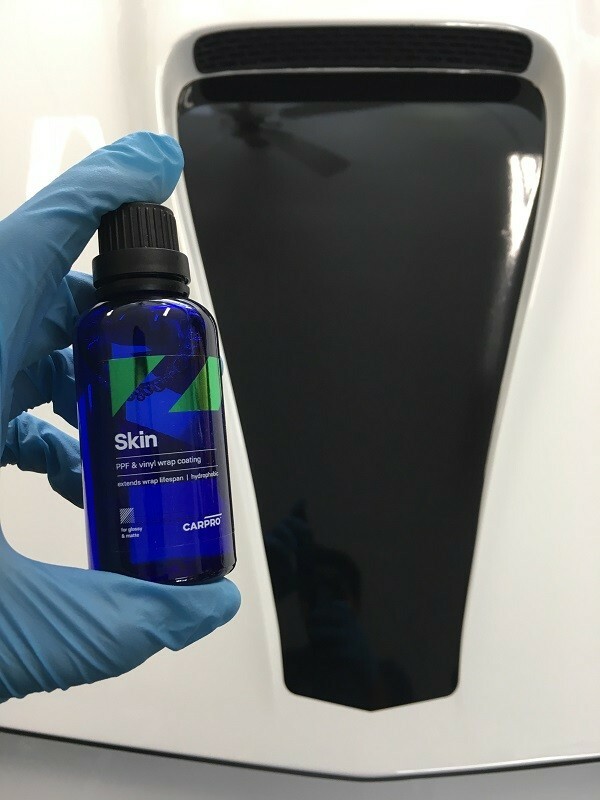 CQuartz SKIN was developed for application to paint protection films and vinyl film. The greatest enemy of PPF and vinyl is UV damage from the sun, so CQuartz SKIN was designed from the ground up with heavy UV blockers. 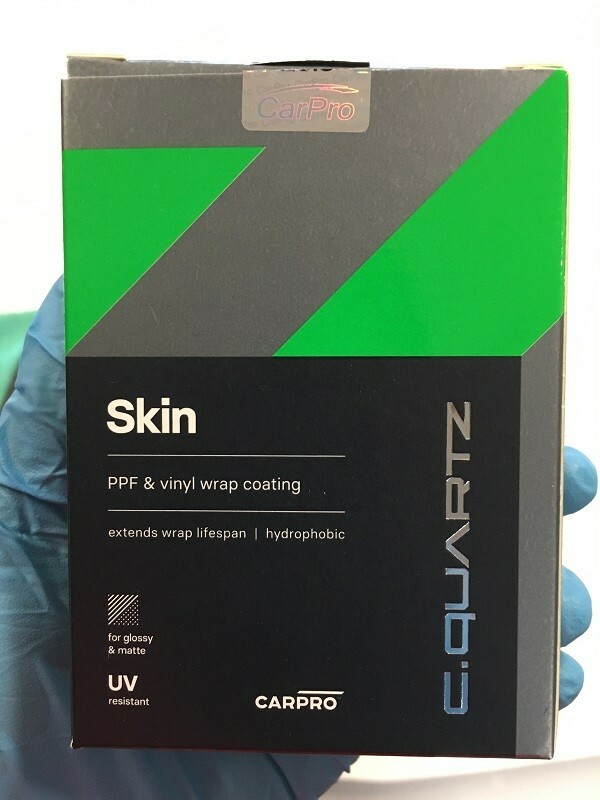 With both UVA and UVB resistant particles impregnated into the nano structure of CQuartz SKIN, you can be assured in the best skin protection possible for your wrapped surfaces. Offered in 50ml size, CQuartz SKIN offers resistance to chemicals, salt, and environmental damage as well! This highly specialized nano-coat adds a rich appearance to the surface along with unbelievable water and dirt repellency and a rugged durability measured in years! CQuartz SKIN features easy use in all climates, wiping on and off with ease for anyone trained in coating application! Proper lighting is necessary and some learning curve may apply to newcomers so be sure to visit our professional installers if you are unsure of your abilities. 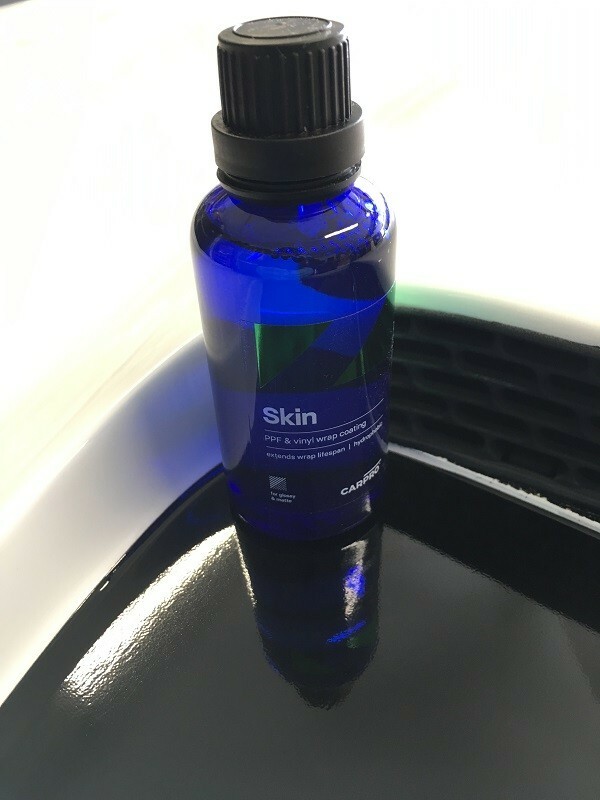 Protect your vehicle`s skin today! Apply the Cquartz Skin over the surface in an even criss-cross layer. Do not subject to chemicals for 3-5 days minimum. Do not use on any surface that cannot be polished until you have mastered the correct application and have proper lighting to do so. Do not apply to a surface that is not 100% clean and oil free. Adheres best to PVC, PU, and TPU films / wraps. 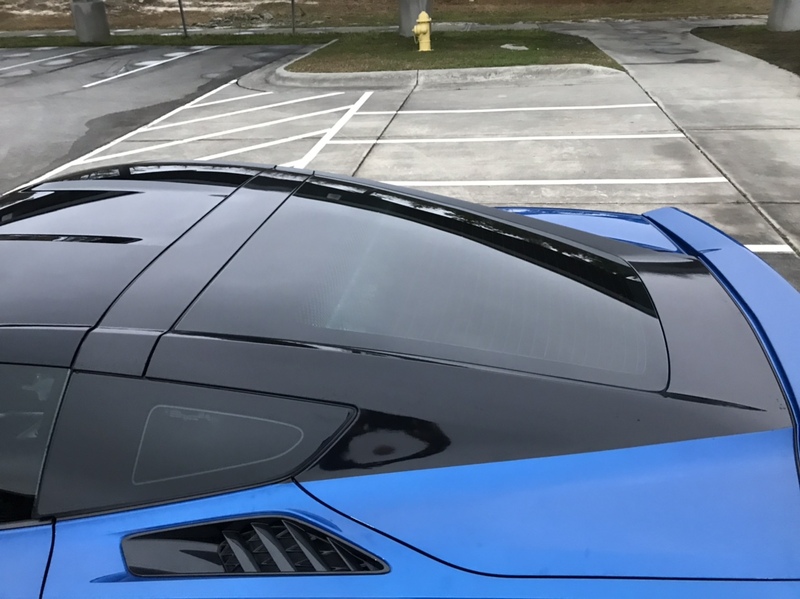 CarPro Cquartz Skin is a coating designed for use on paint protection film (PPF) and vinyl film, as well as vinyl-wrapped vehicles. CarPro already makes Cquartz-based protection for paint with their line of coatings, but now with CarPro Cquartz Skin, every inch of your vehicle, be it wrapped, PPF’d, or painted, can be protectedfrom harsh elements like dirt, dust, water minerals, and UVA/UVB rays. 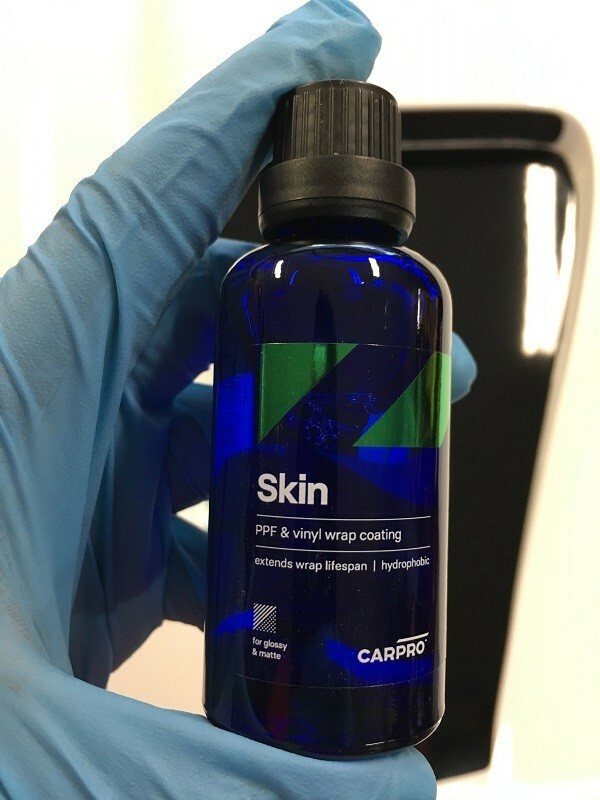 Not only does CarPro Cquartz Skin protect, but it also enhances – keep your vinyl film and wraps looking new with CarPro Cquartz Skin! Anyone with any experience detailing vehicles knows that paint can be expensive. If you neglect it, it degrades over time and may need to be replaced – but keeping up with maintaining the perfect finish can be expensive and time-consuming as well. 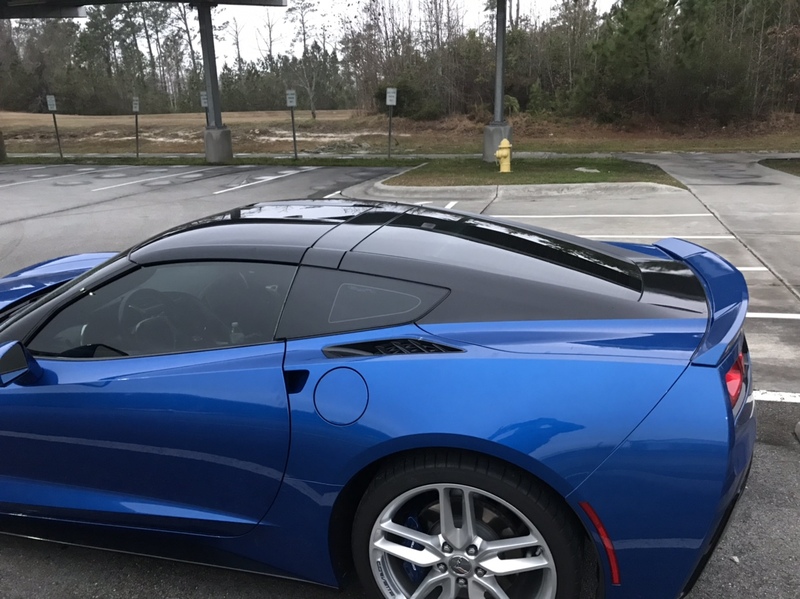 That’s why many people to choose to just wrap it up with PPF film and keep it under wraps!While these types of film will certainly protect your paint, what is protecting the film? That’s where CarPro Cquartz Skin come sin. 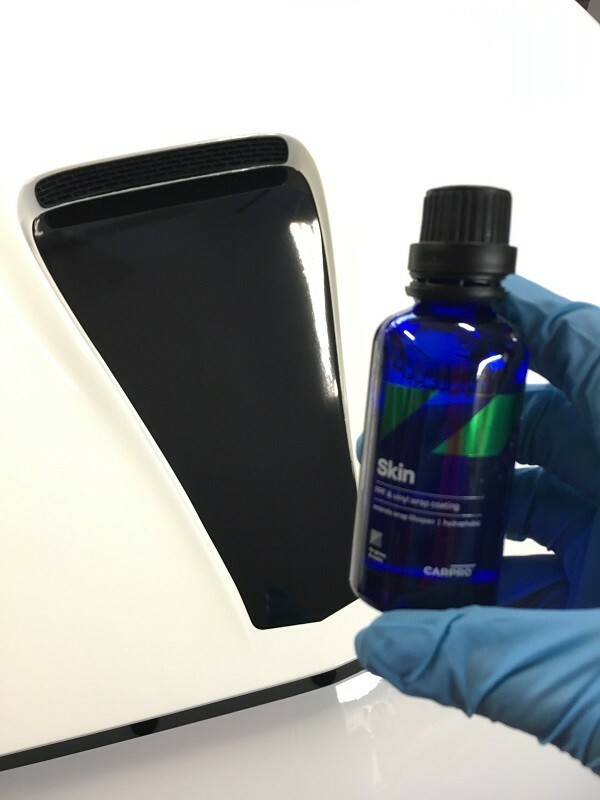 CarPro Cquartz Skin features a unique UV ray infused nano-formula that repels UV rays and stop the discoloration, fading, and “opaque-ing”that can occur. 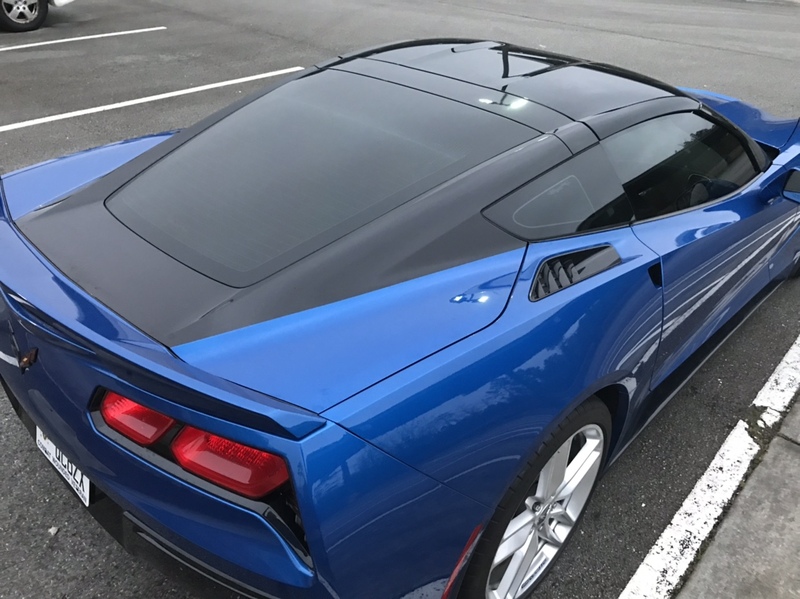 But notonly does it protect against harsh UV rays, CarPro Cquartz Skin also protects against water minerals that can stain, oils that can smudge, and dirt and other contaminants that can hinder the PPF or vinyl wraps natural look. In fact, it protects while also enhancing the surface with a rich warm appearance that is easy to clean and maintain! CarPro announced this product at SEMA 2018 and is a new product for 2019. This is a dedicated PPF and vinyl coating. As mentioned in the product description it is recommended for matte, satin or a gloss finish, PPF and vinyl wraps. The new packaging is nice. 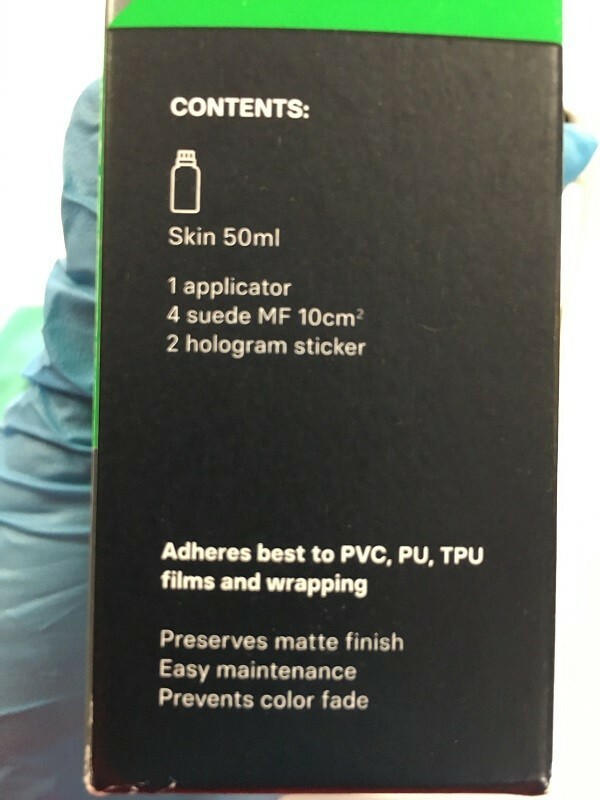 Kit contents and recommended areas of use. Precautions on the other side. The labels on the bottles look great. I do not have access to any vehicle that has PPF or a lot of vinyl. 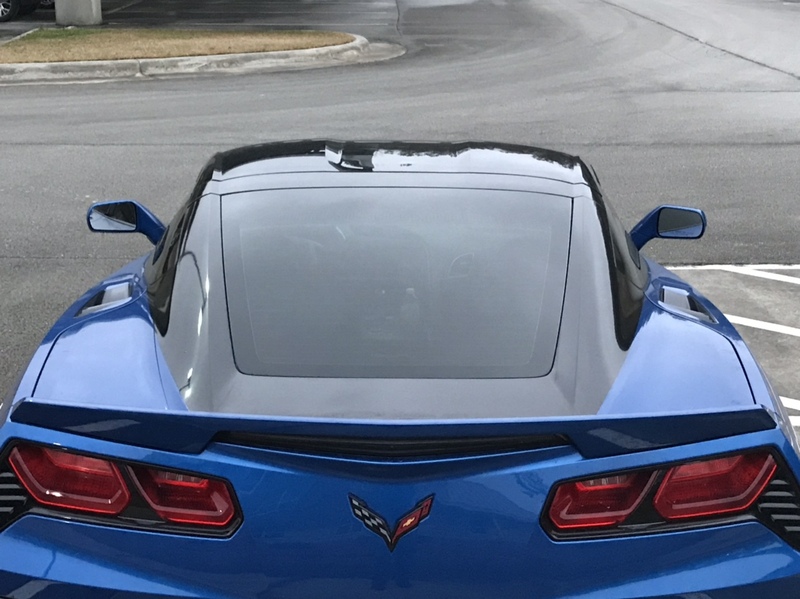 So the vinyl hood scoop on my 2002 Camaro will have to do for now. The last time I polished this car I used Essence and Meguiar’s Extreme Marine Vinyl & Rubber Protectant. Which was and ok combination. It spends most of the time in the garage so I don`t necessarily need anything that lasts a really long time. I went ahead and gave it a light polish with Gyeon Polish and a polishing pad to cleanse the surface. I followed with an Eraser wipe down. Now this is gloss vinyl so polishing is ok. I would not do this for matte vinyl. 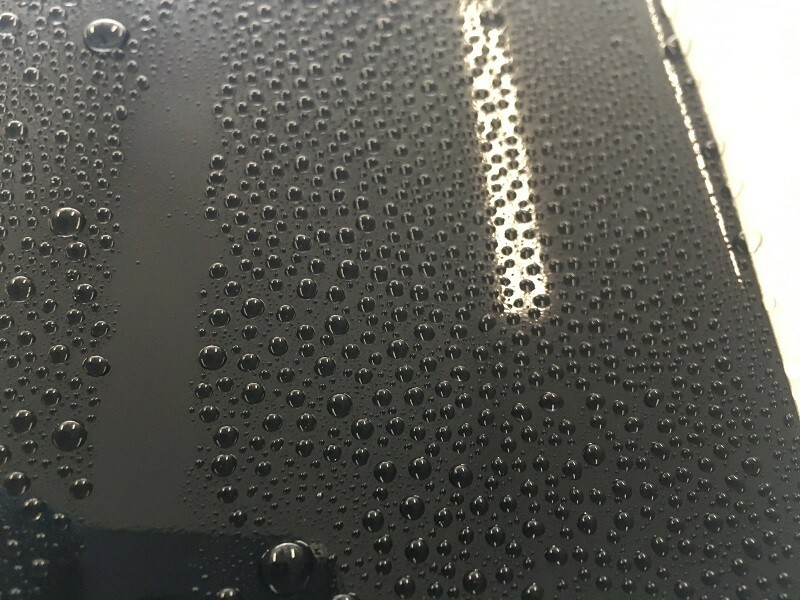 Be sure to verify if polishing can be done on the material this coating is to be sued on. I applied product to the applicator and a little goes a long way. I applied it to half of the vinyl and then wiped off to see if the coating changed the appearance. It did not alter the appearance whatsoever. It did leave the finish slick as I leveled it. I ended up finishing the first coat. Avi had told me in an email that Skin can be applied within 30 minutes. 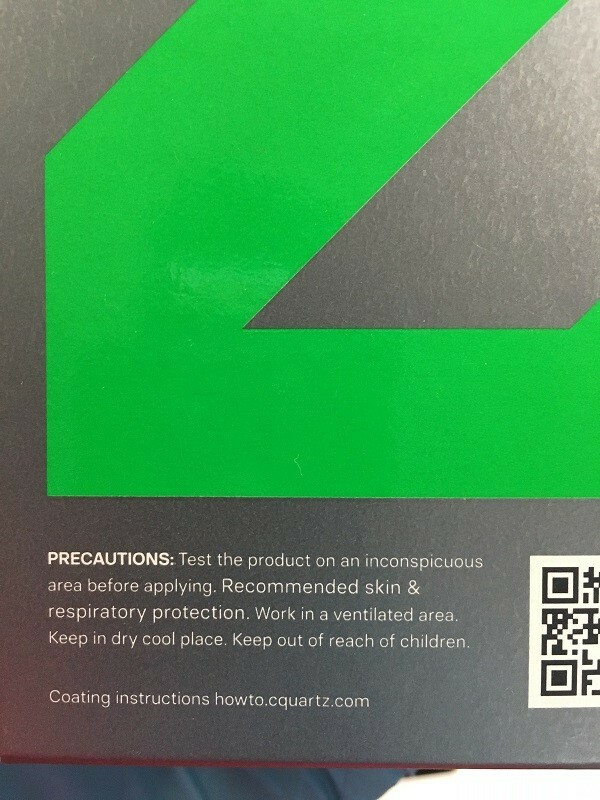 But I looked at the included brochure and also on CarPro US and there is a mention of waiting 4 hours between coats unless IR lights are used. I opted to just let it sit overnight as I went to dinner and applied a second coat the following day. One thing I did notice is that the coating applicator did not harden overnight. But stayed rather flexible. I believe that this is a good thing for the type of substrate the coating is designed for. To give it that flexibility. Image after the second coat. Noticed no additional change in appearance. Skin goes on relatively easy. Essentially using the typical cross hatch pattern to apply the coating to the surface. The flash time is going to vary based on the surrounding temperature and humidity. But the wipe off/leveling of the coating is easy. The slickness of surface is felt as the coating is being leveled. The coating goes on clear and did not alter the appearance of the vinyl. CarPro mentions that it contains UVA and UVB protection. Hard to test that out but it is good as it will help either the PPF or vinyl surface it is applied to. At this moment I do not have any photos or videos of the hydrophobic properties of Skin. Stay tuned for some more feedback on that. I just remembered that I do have headlight protection film on my Grand Prix. I believe they have Exo on them so I will be polishing that off and applying Skin to put that trough daily use. This will give me a better idea on how it applies to clear film. The last thing I will mention is that the CarPro brochure states that Skin can be removed with a stripping solution. I don’t know what that exact solution is and hopefully Avi can chime in on that. No more guess work on the question what coating can I use on PPF? Great review and write up Guz! Interested to see how it looks on matte vinyl if anyone`s tried it. My coworker was supposed to schedule his 2017 Charger that has the matte vinyl graphics for paint correction and coating. But I don’t know when I will see it. I couldn’t wait so I ended up just using it on this piece for the time being. Once I get my hands on it I will post up photos of that process. I’ve seen some photos on social media on colored wraps but no before and after. "If a mistake is made or the coating is damaged or needs to be removed for any reason at all you can simply remove it with the stripping solution... no abrasives needed!" What is this stripping solution they`re speaking of? From what I`ve seen it doesn`t come with the Skin package. Unfortunately I don`t know. There is no mention of it anywhere. I was hoping someone from CarPro could shed some light on that. It`s been a week since I applied Skin. The car was not dirty so I just used a spray bottle to test out the hydrophobic`s of the coating. It does produce some really tight beading similar to Cquartz UK, Cquartz TiO2 and Gliss. Thanks for this review. Timely, since I just had the halo, rear pillars and decklid wrapped. Just ordered some Skin. 5 Coating Adhesion Test to CarPro Essence Review!